The official classification system in Burgundy as we know it today was started in the first part of the 20th Century by the National Institute of Appellation Controlee. However it was the Church and their great work and attention to detail that first defined the individual vineyard areas in Burgundy. In the middle ages the nobility and the Church owned most of the land. Orders of monks and nuns devoted their time to vineyards and making wine. Some of the best vineyards in Burgundy were first delineated and looked after by ecclesiastical orders such as the Cistercians – the Grand Cru Clos de Vougeot being the most famous example. The basic levels of wine in Burgundy are known as generic "Bourgogne," and the more superior "Villages" level which is allowed to carry the name of its village. The top two classifications are Premier Cru, which carry the name of the specific vineyard and village the wine is from, and the ultimate level, Grand Cru. 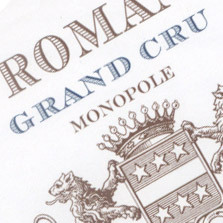 Grand Crus are specific vineyards designated as being of the highest quality and they are entitled to their own appellations. Unlike the Bordeaux classification of 1855, the Burgundian template is based on the study of the quality of terroir, i.e. soil content and depth, exposure to the sun, drainage and altitude.